It is the innocent who experience beauty. Look at each of the above images for one minute. After looking at each one, close your eyes and be aware of the feeling it has evoked. 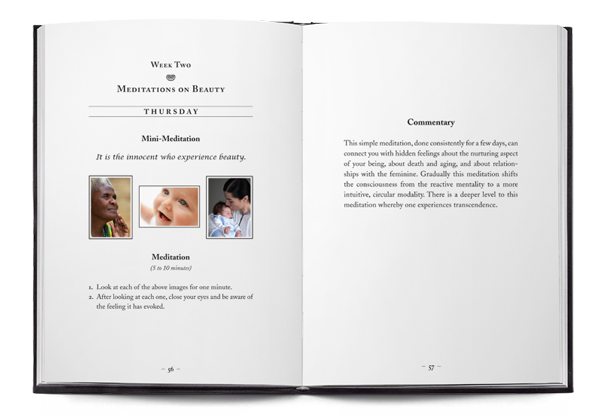 This simple meditation, done consistently for a few days, can connect you with hidden feelings about the nurturing aspect of your being, about death and aging, and about relationships with the feminine. Gradually this meditation shifts the consciousness from the reactive mentality to a more intuitive, circular modality. There is a deeper level to this meditation whereby one experiences transcendence.